Listen, I do not know what the protocol is about older demos being re-released but suffice to say, Australian black metal project Moon has just re-released its first demo which actually came out in 2008. For this site, older material usually passed up in favor of current releases and I was really confused on where to put this. I think if it was not for the absolute stunning performance on Moon, I would have left this in the 2008 bin. If you are cool with it, I would like to rewrite history and consider this a fine and stellar 2015 release. At times, I am wondering why Moon hasn’t become more recognized as this one man act is in line with popular black metal aesthetics which only support a great sound. Though the sound is undeniably lo-fi, the atmosphere of the record is enjoyable with even instances of flutes and snyths adding to the desolate landscape. The visual aesthetics of both the album cover and of the creator himself would be perfect fit for anyone who already enjoys acts like Paysage D’ Hiver, Astral Silence, or Alrakis. 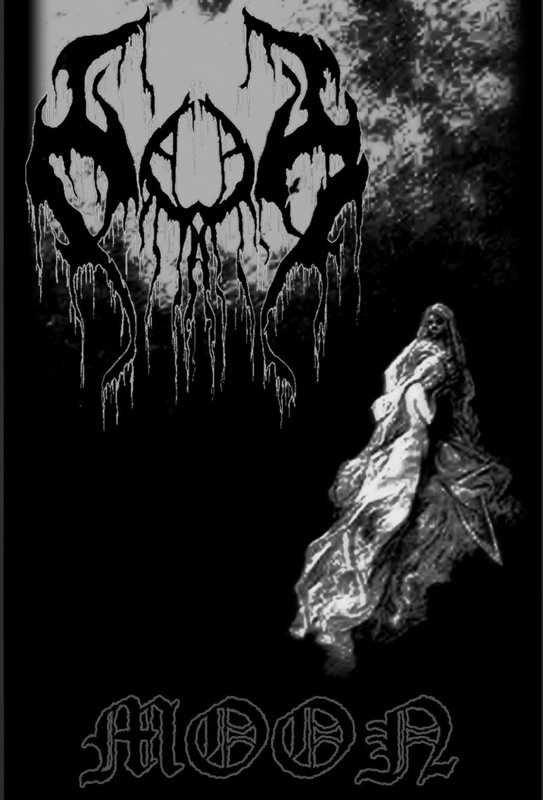 The otherworldly sounds which emanates from this 2008/2015 demo is nothing short of fantastic and fits perfectly for anyone with an interest in esoteric and occult black metal. Starting with Moon is but the first step into other releases by the artist. Last year, everyone wasn’t aware of a fantastic full length called Clavicula Nox which was surprisingly more dissonant and hazy in terms of production as the 2008/2015 demo. If the sound of Moon is of any interest, then the descent into astral madness will be nothing less than a disturbing treat. Perhaps, I should amend the current regulations one past demos. there is no possibly way to keep a sufficient timeline in the realms of self released heavy metal. I wouldn’t want to miss out on the horror and terror of possible voids.